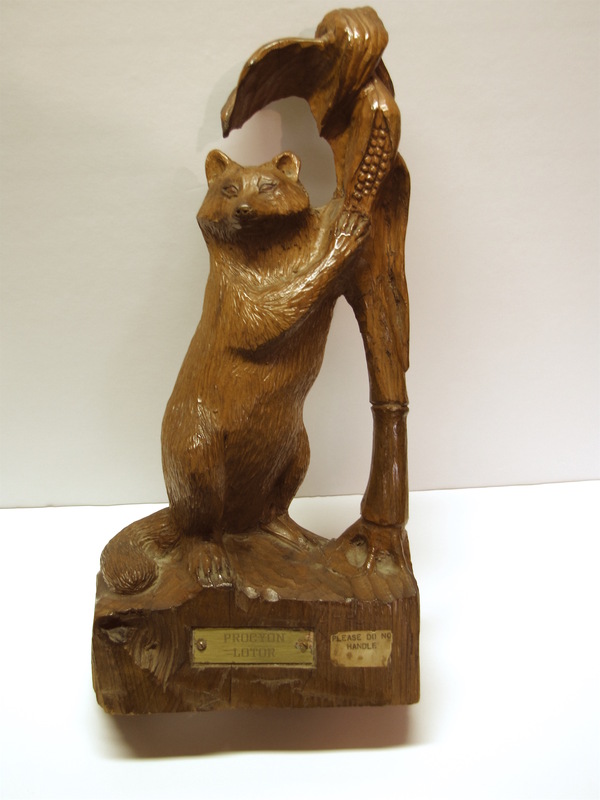 A racoon carving attributed to Abe Patterson of Renfrew, Ontario. There is a stamp on the bottom Department of Lands and Forests Ontario. Patterson was known to carve pieces for institutional display. This stamp and the Please Do Not Handle paper label on the front would support this. 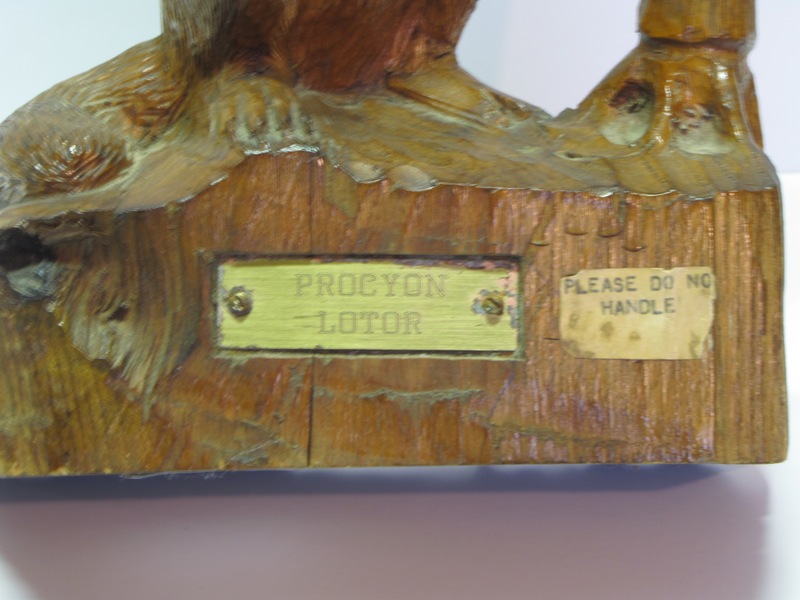 The metal plaque PROCYON LOTOR is the latin genus for racoon. Overall height is 15". 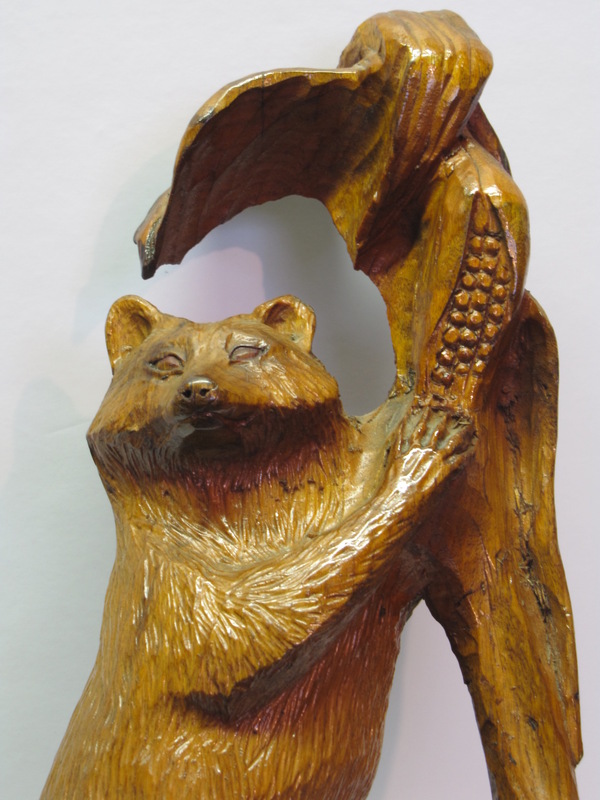 There is a whimsical aspect to the piece - the carving on the lower back appears to be of the same hand and date but does not bear a relationship to a racoon carving. 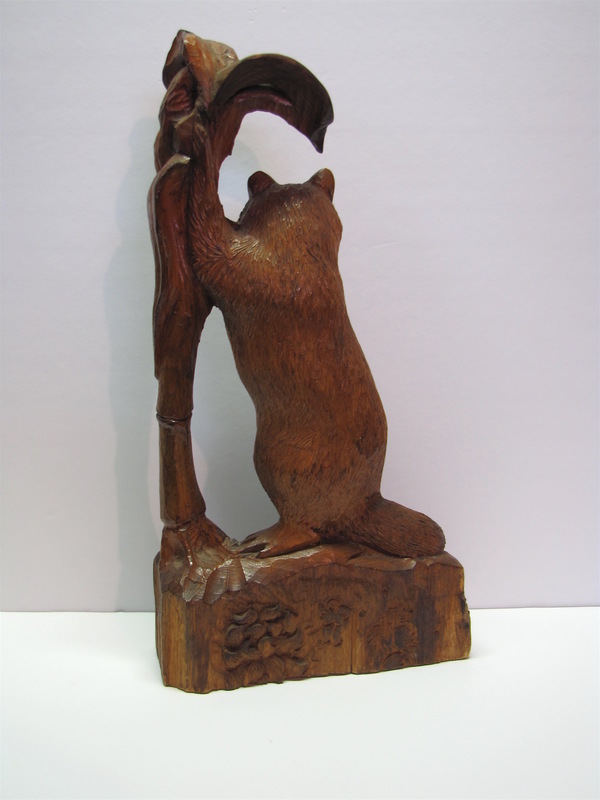 Patterson is a well documented carver with pieces in museums and many private collections.